I need a breakaway! Peaceful sandy beach, doing nothing just chill, read books and maybe book myself a super duper nice spa. 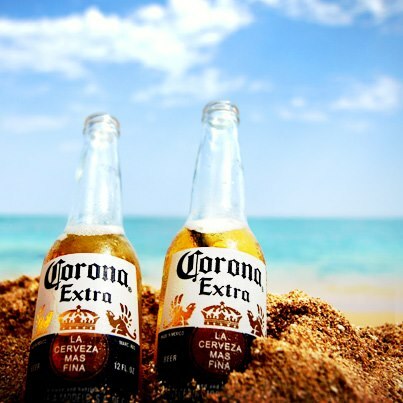 That will be perfect beach holiday. I was really busy and tired last month with so many happenings and workloads piling up. Ish ish ish stress! I want to go for a beach holiday to recharge myself. When I found out about this Corona ‘Let The World Wait’ Facebook contest, Win a Trip for 2 to Koh Samui was like few more hours to the closing date, the initial closing date was 31st Mac 2013… arrghhh sob sob no chance to join already because its almost 10pm and the shops are closed. Oh no! I missed. 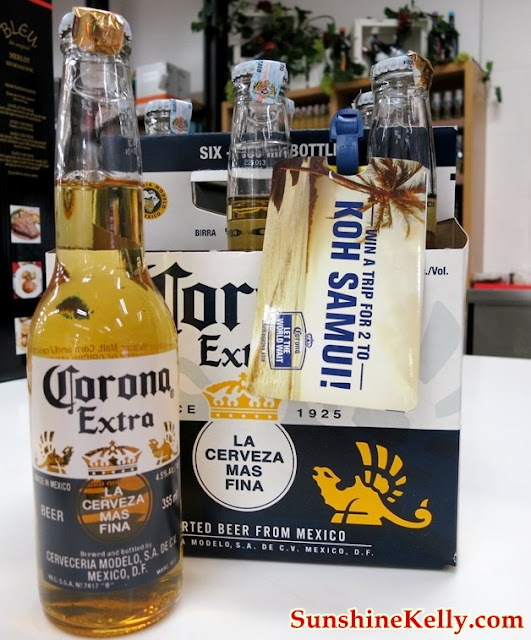 On 1st April when I was browsing Facebook suddenly Corona Malaysia Facebook update status appeared, eh!!! they extended the contest till 7th April 2013. I asked myself is this April Fool??? No! This true the contest extended! So I went to purchase a 6-Pack of Corona Extra in Giant Hypermarket and make sure I keep the receipt. 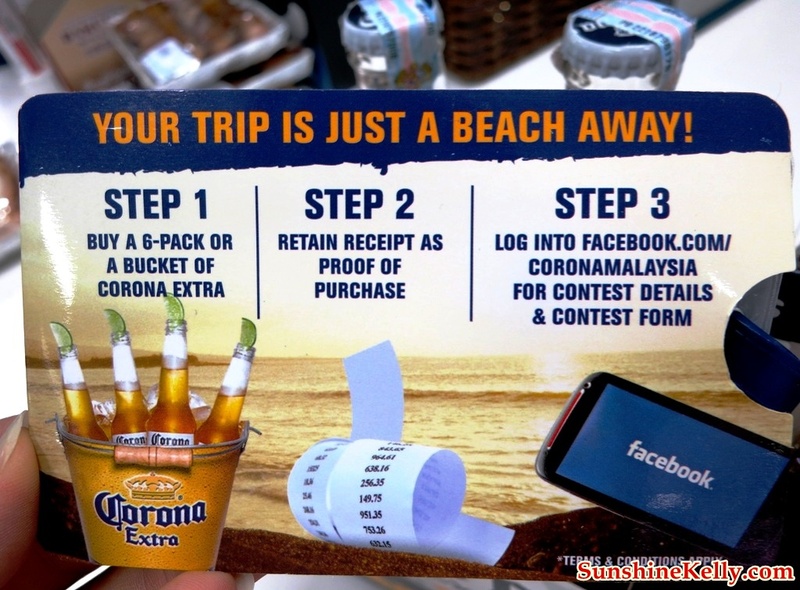 Login Corona Malaysia Facebook to submit my entry. It takes sometime for me to crack my head and churned out Let The World Wait slogan. Wish me luck yo! Step 3: Click on the ‘Win a trip now!’ button. Step 4: Fill in your details, Name as per NRIC, NRIC / Passport Number, Address, Mobile Number and E-mail. Step 5: Answer 2 simple multiple choice questions and complete a slogan ‘Let The World Wait’ means to you? in not more than 100 words. Step 6: Fill in the details of your proof of purchase, i.e. 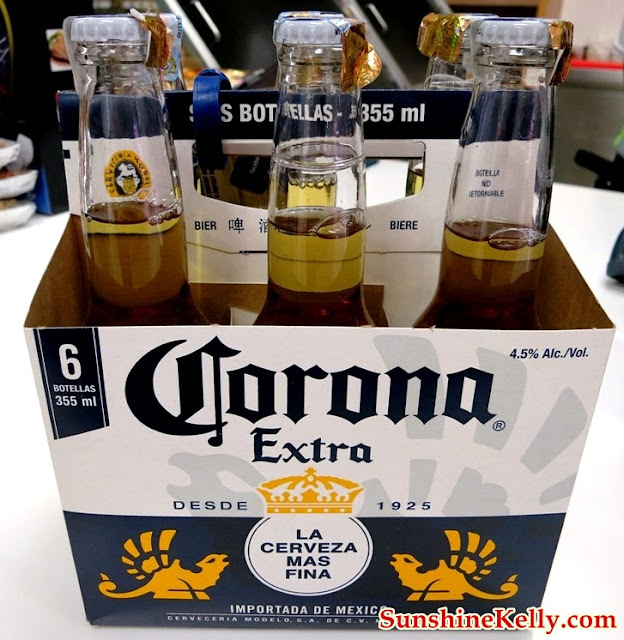 Name of Outlet, Venue, Date, Time, Type of Purchase (a bucket or a 6-pack of Corona Extra), Amount Spent and Bill Number and submit your entry. Alright that about it. The Corona ‘Let The World Wait’ Facebook contest has extended to 7th April 2013. 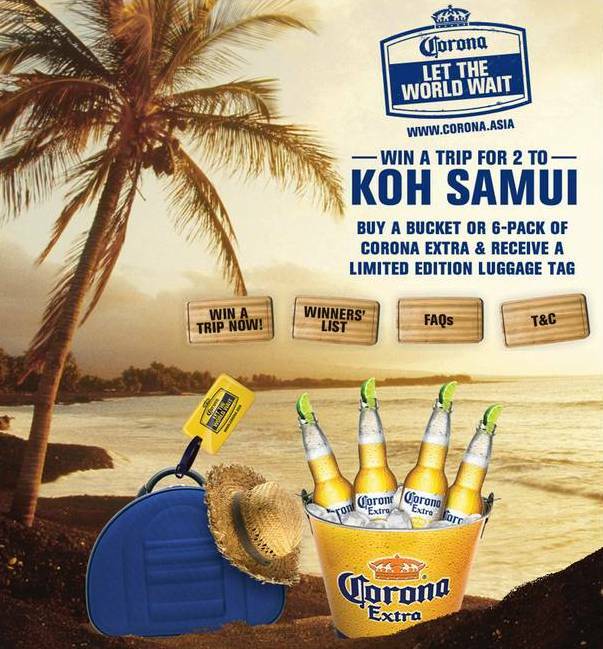 Hurry if you would like to catch the chance to Win a Trip for 2 to Koh Samui. Sawadeeka! I want to go to Koh Samui, Thailand.